Gorgeous remodeled home just 1 block from Old Town Main Street & across from the Library! Walk everywhere! 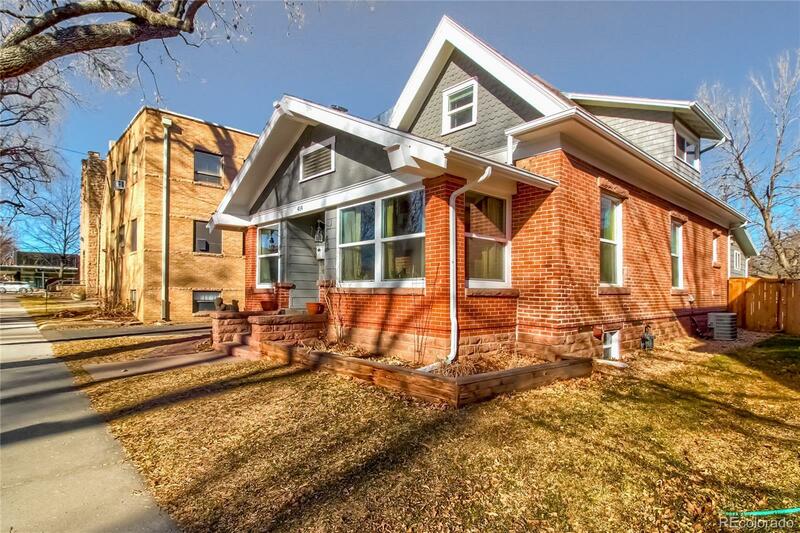 You’ll fall in love with the charm of the original brick walls & entry seating area. Gleaming hardwood floors will lead you to the family & dining room in this open floor plan. Kitchen is a chef's dream w/ granite counter tops, gas burners, stainless steel appliances/stove hood & beautiful cabinetry. Also on main floor are the sun room, 2 bedrooms, full bath, flex room(office) & laundry room. Upstairs, a huge master bedroom featuring stunning 5 pc. bath & walk in closet. Finished basement, great for a play area/media room. Entire home recently remodeled w/ a new kitchen, baths, electrical, plumbing, furnace, A/C, appliances, windows...& more! Recently rezoned MU-D, mixed use! Perfect Live/Work opportunity! Zoning allows for so many uses with endless possibilities (think restaurant, coffee/confection shop, B&B - or just the perfect home for you and your family). You’ll love it all!